The digital economy is transforming how we live, work, play, travel, interact, and do everything in between. It evokes the image of a seamless global marketplace. Reality is different. The digital revolution may be global in its reach, but it is uneven in its effects. In the digital world, connections matter. Some countries and continents are connecting more than others, and Europe and the United States are connecting most of all. Cross-border data flows between the U.S. and Europe are the highest in the world. Digital transformation is becoming the single most important means by which both sides of the Atlantic can reinforce their bonds and position themselves for a world of more diffuse power and intensified competition. Whether through digitally-enabled services, e-commerce, the growing app and bot economy, data flows, social media, or submarine cables criss-crossing the Atlantic, the transatlantic digital economy has quickly become a major force in global commerce. Yet digitization’s not only faces barriers in both Europe and the United States, it also confronts societies on each side of the Atlantic with a host of legal, economic, societal and normative questions. 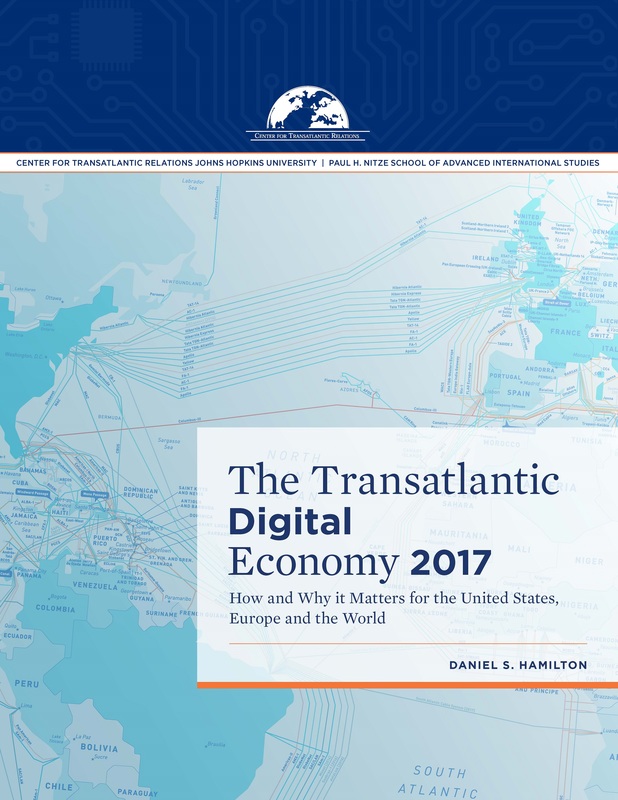 In the context of today’s debates about jobs, skills, digital divides, privacy, security, competitiveness, and changing economic fortunes, The Transatlantic Digital Economy 2017 provides key facts and figures about the United States and Europe in the digital world, with often counterintuitive connections with important implications for policymakers, business leaders, and local officials. Media coverage of the release event in June 2017 available here.